Antonio Brown kicked and fought his way off the Pittsburgh Steelers. Then he thanked the area fans once his wish became official. Moments after the trade of Brown to the Oakland Raiders became official on Wednesday, according to Pittsburgh CBS, there were electronic billboards all over the Pittsburgh area with one message. 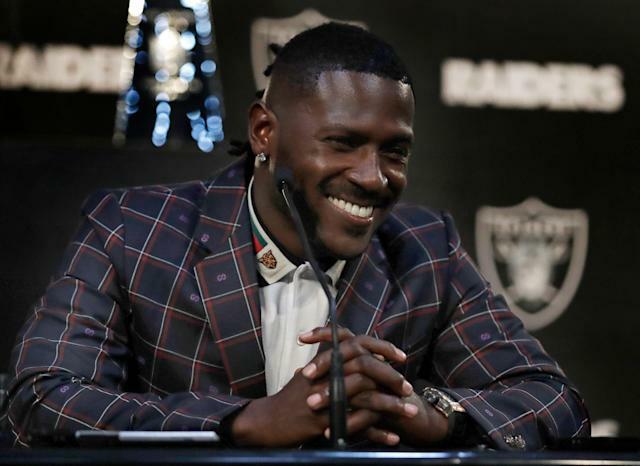 The Steelers trading Brown to Oakland for third- and fifth-round picks became official and approved by the NFL at the official start of the league year. Both teams announced the trade, and the billboards went up. Was the message in earnest? The last few months of Brown’s relationship fizzling to the point of axing the franchise’s best offensive weapon — a little more than a year after the team made a major financial commitment to him — still feels raw and confusing. But no matter what Brown did to help escalate the tension between him and the team, it appears he’s trying his best to exit with a tad of dignity. Brown’s beef always was with the club, not the fans. Prior to the last week of the regular season, he had been one of the more beloved players in recent Steelers memory. But things changed when Brown and the team had a clear disagreement over his missing a practice, along with a phony excuse of an injury that didn’t paint either side as all that responsible. Both sides certainly can accept some fault. Maybe Brown’s methods for getting himself traded weren’t the most noble, but they sure were effective. Despite taking a major salary-cap hit and receiving little tantamount to his talent in return, the Steelers bit the bullet — and Brown got a raise out of it. Whatever it takes, we suppose. So Steelers fans might not love the message now as they’re driving by, still in shock over how this roster has been turned over so significantly the past few days, but they might one day remember all that Brown did for them too. You know ... before things got quite ugly for a short time.